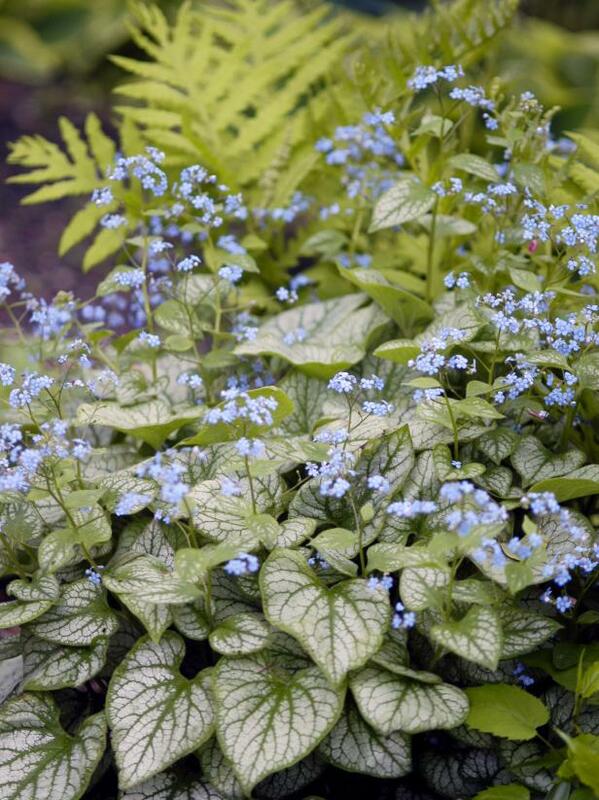 Tiny blue-purple blooms appear in spring above the variegated leaves of ‘Jack Frost’ heart-leaf brunnera. The flowers complement the silvery leaves beautifully. This perennial adds striking color to gardens in part shade. Fuzzy leaves are slug- and deer-resistant. Hardy in Zones 3 to 10.